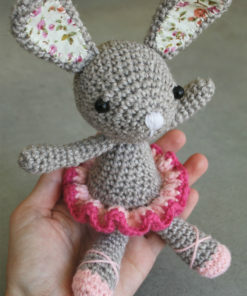 View cart “Little ballerina bunny – pdf pattern” has been added to your cart. 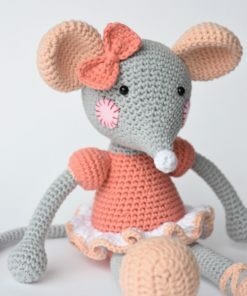 Ballerina mouse is designed especially for little girls. Puffed sleeves, ballerina slippers and lovely bow in the head make her irresistible. Crocheted with natural eco-friendly cotton yarn. Little ballerina-bunny is a sweet little toy to make. She wears a ruffled skirt and tiny ballerina slippers. Her ears are covered with lovely patches of fabric. 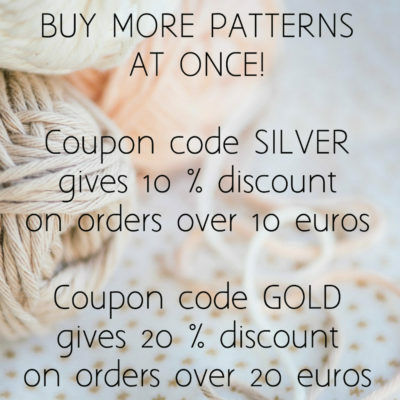 I´ve used plastic pearls that are safely crocheted into the surface, but according to your wish you may replace them with safety eyes.